Article: Veronica Dunne And Max Ehrich Looked Outstanding At The 2016 Radio Disney Music Awards! We all have so much love for this awesome power couple! The exceptional and amazing Veronica Dunne and Max Ehrich looked so fantastic as they attended the 2016 Radio Disney Music Awards yesterday, April 30, 2016 at the Microsoft Theater in Los Angeles, California. Veronica Dunne looked so chic and beautiful wearing a black crop top and blazer jacket along with maroon-colored pants. Max Ehrich looked so awesome rocking a TopMan attire to the event. Such a talented and fashionable couple! Veronica Dunne had a blast at the event as she took over Disney Channel’s Twitter and Instagram accounts. Veronica Dunne shared the awesome photo below as seen through her Twitter account. Max Ehrich shared his fun time at the RDMAs by posting the wonderful photo of himself and Veronica Dunne at the event as seen below through his Twitter account. Veronica Dunne and Max Ehrich are absolutely sensational! 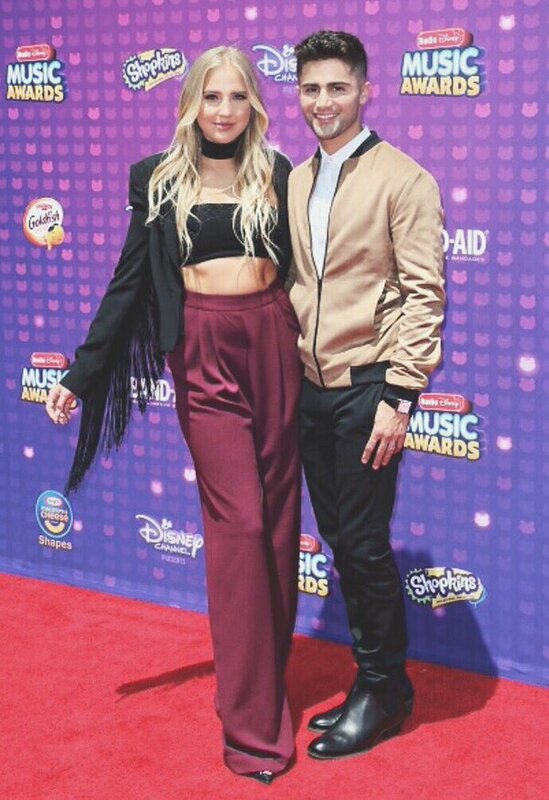 Check out more photos below of Veronica Dunne and Max Ehrich at the 2016 Radio Disney Music Awards! Previous Article: Jacob Whitesides Looked So Dapper At The 2016 Radio Disney Music Awards! Next Article: The Inspiring And Extraordinary Musician Daya Looked So Gorgeous And Rocked The Stage At The 2016 Radio Disney Music Awards!